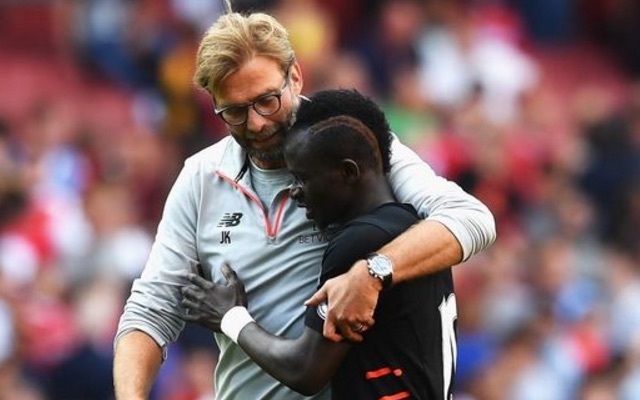 Liverpool’s superb summer signing Sadio Mane has given an interesting interview to Jamie Carragher for Sky Sports, in which he’s spoken about his start to life at the club. Some fans were skeptical about the Senegalese winger when he signed from Southampton for big cash, but Mane has well and truly silenced any doubters already. He gradually improved during pre-season, and hit the Premier League campaign running – scoring against Arsenal on opening day and against champions Leicester City last time out. Other than his goals, he’s proved a dynamic, pacy option throughout our early matches, with his absence against Burnley notable. On the right wing, Mane is an automatic selection in Jurgen Klopp’s first XI, along with Roberto Firmino – and interestingly – it’s now Coutinho and Daniel Sturridge fighting for the remaining spot in the team! You scored at Chelsea last season, you’ve got a good record there. Yes, I think I can say I’ve never lost against Chelsea and hopefully that’s going to continue. As I was saying, Chelsea are a big team and we will respect them. I think we will be ready for the game and will give our best for the club and the fans. What’s the big difference you’ve found coming to Liverpool from the other clubs you’ve come from, especially Southampton? I think there is a big difference because Liverpool is a big team of course, but I also had two great seasons with Southampton with nice people and we had a good manager like Ronald Koeman. We were successful because we went into Europe. I’m not there anymore, but I’m happy to be at Liverpool. Everything is going well for us at the moment and I think it will continue. You mentioned Ronald Koeman who went to Everton, our big rivals across the park, what are the differences between him and Jurgen Klopp? Koeman is also a great manager and he’s a nice person. When he was at Southampton, everybody liked him at the club. It was easy for the young players, for us and for me personally because he helped me a lot and if I’m here today, some of it is because of him. He gave me many chances and I’m happy for that. In the three league games that you’ve played, it’s been Arsenal, Tottenham and Leicester, who were the top three from last season, and we’ve had good results against them. How far do you think Liverpool can go this season considering those results? I think we are in a good way. After losing against Burnley, it’s part of football and you have to accept that. Now it’s behind us and now we are focusing on the next game. We’re going to take it game-by-game, try to win and get our mission to be in the top four. What was it like playing your first game at Anfield, were you nervous? Not nervous, but there’s always extra motivation for us to play against big teams but not to get nervous or to be scared because it’s a job we’re never scared about. What do you think about the new stand? It was amazing. It was unbelievable because we have the best fans in England. It is also important for the players to play next these fans and to be pushed by them and for us, it then became easy for us. No, I didn’t hear this. What did he say? He said you were the quickest player he’s ever played against. Are you quick? Do you think you’re quicker than me?